In exactly ONE WEEK I will reveal my ‘best of’ list of 2012. Just in case you absolutely can’t wait, I have some details to reveal today. First of all, there are five categories: audiobook, fiction, speculative fiction and mystery/thriller, historical fiction, and nonfiction. 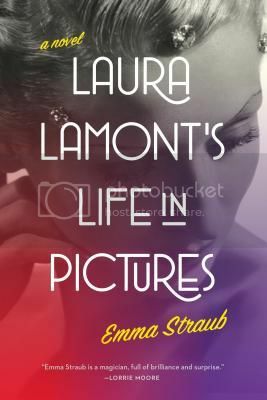 Each category has five picks (well, except for audiobooks, where I couldn’t narrow it down from six) and today I’m going to give you a spoiler and tell you that one of my fiction picks is Emma Straub’s Laura Lamont’s Life in Pictures. As a celebration, and in case you have any holiday parties you still need to bake for, Emma’s here today sharing her famous chocolate chip cookie recipe with us. People love to talk about how much I love to bake, but the dirty truth is this: I have exactly two tricks up my sleeve. There are my brownies, which I have written about before, and then there are my chocolate chip cookies. I don’t quite understand the idea of baking if there is no chocolate involved. I cannot claim any responsibility for the recipe below, though I will vouch for it a thousand times over. These are my go-to cookies, and even if you mess up and bake them for a minute or so too long, they will still be delicious. The most important thing to remember is that fancy chocolate and butter are your friends. 2 cups chocolate chips. I like to use fancy chocolate and chop it up myself. Fancy chocolate makes everything better. 2. Put the butter and sugar (both kinds) in your mixer, or in a bowl, if you have strong arms muscles and won’t give up until the mixture is all creamy. 3. Add the salt and the baking soda. Mix some more. 4. Add the eggs and the vanilla. 5. Add the flour, one cup at a time. Mix thoroughly before adding the second cup. 6. Add the oats, also one cup at a time. This is when the batter starts to get really delicious, I’m just saying. 7. Add all the chocolate. The dough will be super thick and so delicious that you will have to basically muzzle yourself from here on out. 8. Voila! You’re done! Now throw ’em on a baking sheet and bake for about ten or eleven minutes. 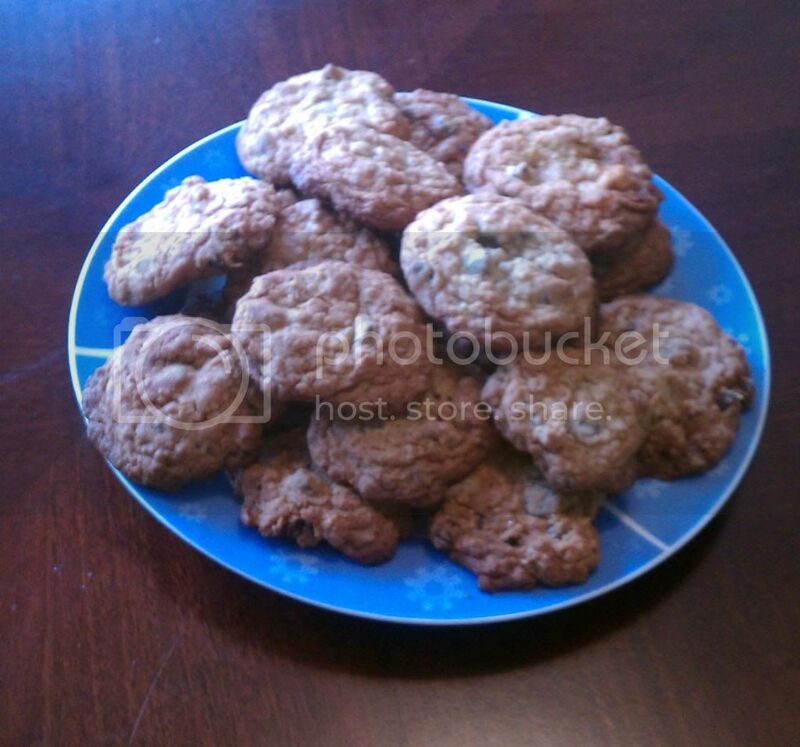 One batch makes a whole lot of cookies. Now, OBVIOUSLY I couldn’t recommend this recipe to you, or let Emma recommend it, anyway, without trying them myself. I made these cookies with regular old chocolate chips because I didn’t have any fancy chocolate, but let me tell you, these cookies make everything better even without it. You see there in step 7 where Emma says that the dough will be “super thick?” Yeah, the first time I made these I actually SNAPPED a wooden spoon in half while stirring in the chocolate. You know what, though? That spoon was a 100% worthwhile sacrifice. I’m not sure I’ll ever make chocolate chip cookies any other way. I do recommend using a mixer to make them, though, because it will break down the oats a bit, while still leaving some of them whole, which makes for a perfect texture. 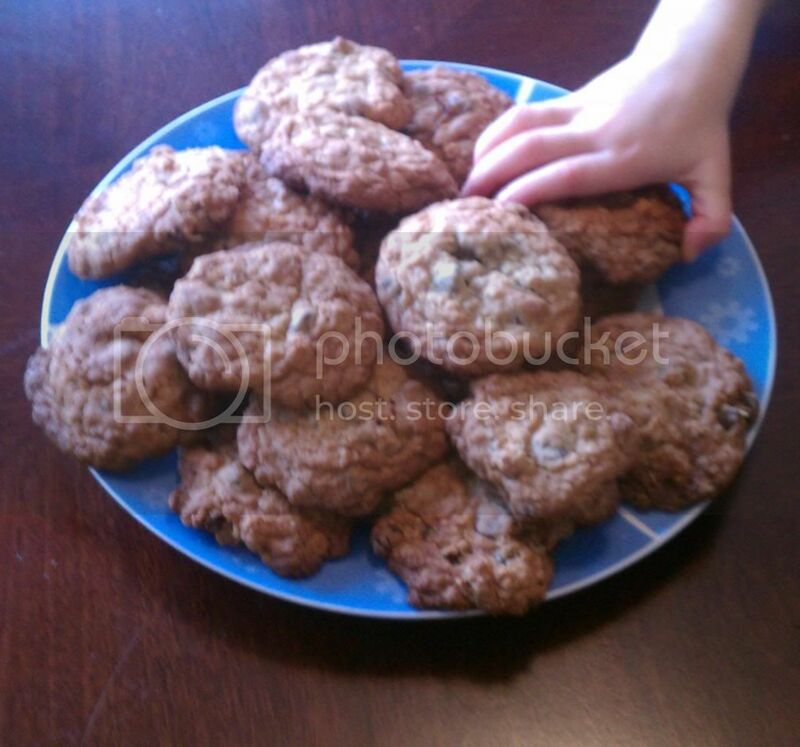 Oh, and it wasn’t just me, these cookies were a hit with the whole family. In fact, when Daniel came downstairs before I did one morning he decided to have one for breakfast. The cookies look delicious, and the book is one I hope to get to in 2013! I am totally going to make these cookies, and fortunately I have lots of wooden spoons. 😉 Can’t wait for your best of list! Ummmmmm.. yum! I need to write a best of post too but I will wait a couple weeks yet…. cant wait to see yours! I’ve recently started baking, making a beer bread with raisins and dried cranberries. Baked goods are great for gifts, aren’t they? Yum – now I want chocolate chip cookies! I may have to stop and pick up some chocolate chips on the way home. These sound delicious! Those are THE cookies? I must bake them myself! I can’t wait to see the mystery/thriller lists, exciting.